Women in Tabletop Gaming Month might be over, but we continue to shine the spotlight on the very women who contribute to our communities! Want to check out the previous interviews? Head over here! Events in general take a lot of time, preparation, and effort to launch. Gamers & GMs Philippines specializes in running what they refer to as minicons. These are regular events that provide the existing tabletop community a space to meet and enjoy the hobby; while also welcoming newcomers who want to try out systems under a rotating pool of Game Masters. 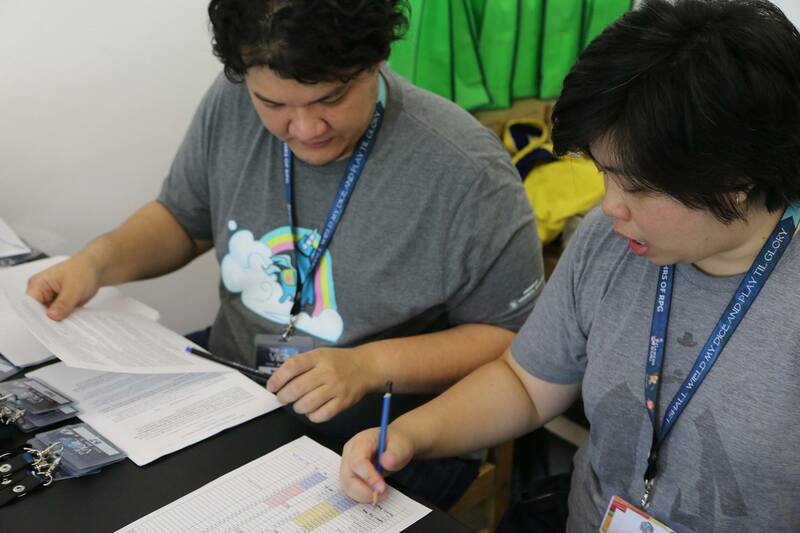 Rachel Teng is one of the local tabletop community’s unsung heroes. We’ll let this interview on her work speak for itself. Hi Rachel, thanks for sitting down with us for this! Hey! I’m Rachel Teng, current logistics head of Gamers & GMs and that person lurking around PTRPG with a dog on her profile photo. I thank you in advance for putting up with my meandering and rambling. Meandering and rambling is welcome here, so no worries there! To start off, can you tell our readers a little bit about yourself and your history with Gamers & GMs Philippines? I guess you could say it was because I’m a weirdo who likes helping out with event logistics. Erich, who had been poking around in G&G a little before me, asked me for help with setting G&G up with a registration table for their August 2015 event. I said I’ll attend to set up and man the registration table for them; since they seemed short-handed and I had some experience. After that, I got invited to help out with their next event. And then I got invited to G&G’s first election, where I promptly and unanimously got elected Secretary. It’s been great, though! I’ve met a lot of new people and vastly expanded the games I was playing at the time, and I haven’t stopped since. What’s it like on the organizer’s end of things? Back when I started, my fellow committee members had a lot of vision and plans. It was exciting to try to accommodate all of that into logistics. But it was also challenging because we were building the structure from the ground up. Being on the same page took a lot of energy and butting heads, and learning hard lessons. Tabletop roleplaying events run a little differently from normal fandom events: you usually need more space to give each table enough quiet space. There aren’t a lot of “activities” that happen at the same time; because the focus is on enjoying the session that you have. And I find that roleplaying events are time consuming. We didn’t start out with a lot of resources. Most of the things that went into back-end were provided out of love, from marketing materials to equipment. We learned to plan things way in advance, so that we wouldn’t burn out from juggling the needs of a monthly event. And then we learned to take breaks and to rotate the person in charge of event content. By around 2016 we got a good groove going and some good experiences under our belt to try more varied things. And then in 2017 we found a new venue to do events in and had enough structure that we could experiment on more event formats. You’ve seen the result of our constant pushing this 2018 in our most daring event yet – a 24-hour RPG event, the Vigil! Have there been challenges that you’ve faced as an organizer? And can you tell us a bit about these? The thing with G&G was that in the first year of my joining, I was the only person who really focused on the logistics side of things – no running talks or games, just pure backend work. It was tough when we were doing monthly events. Some months I could barely keep up with it. And as a result we were stuck with a repetitive format and templates and so on. The events were still all right; but I considered it a personal failing to be unable to expand on the committee’s vision beyond keeping operations running. We had an amazing pair of events in April 2016; a two-part combo of the Ravenloft launch with the Adventurer’s League community, and one of my favorites to date, the Anglekite megagame. Running off the good lessons we learned from that, we agreed in 2017 to try a different way of constructing our events to keep things fresh and exciting – one person would head an event and decide its content, theme, what we would feature, who the GMs running would be, and putting together all these sundry details. This person also changed for every event. This meant that as logistics officer (we changed it from secretary, and I got a team! ), it was my challenge to make sure logistics kept up with every content manager’s vision of their event and to negotiate and work with them on how we could do things. We had nine events in 2017. We had wrestlers and a warehouse rumble in one event, and the silent emperor in another. There was a D&D gladiatorial contest and a megagame. We experimented with open mics, a minis painting workshops, the artist corner, and a library. There was the popular dice pool, summer stickers, and bottled potions. We had collaborations with other groups like the Greasy Snitches, Pathfinder Society, and Singapore-based Curious Chimeras; and made many friends along the way. It was very fun and I feel accomplished. And it also allowed me to explore my limitations and strengths as a logistics person. This year is our year of collaborations. We started with a charity event in March with the Curious Chimeras and the Makati Marauders, and then had the 24-hour Vigil in May with both the Chimeras and Ludo Live. This July will see LacunaCon, our collaboration with you in Play Without Apology. In August, we’re cooking up something mysterious with Trick or Eat, and something really exciting with Project Tadhana. I’m really hyped up! We noticed that you’ve never GMed a table, even if you’re surrounded by others who have. Is there a reason why you’ve elected to stick to being a player & organizer? I’m a bit of a serial player, if such a thing exists. There are a bunch of reasons for that; first of which is that there are a lot of good GMs around the community that I would like to play under. I game a lot through the week, and carving time out to be a GM would mean playing these games that I love less! Unacceptable! Hahaha. Scheduling for these tables also often falls to me and my trusty calendar, and Erich and I host majority of our common games. So beyond organizing for G&G, I spend a lot my time and energy preparing for the stuff I play/host that I don’t think I need to add GMing on top of it. Besides, I already experienced being head mod of an online roleplaying game that, at its peak, had over 60 players and 200 characters. The admin responsibilities and the non-stop writing of roleplay posts for that was like having a second full time job that I think G&G and tabletop roleplaying might actually be easier. As a final note, can you share with us your take on how things are for women and queer folks in the community? I actually started tabletop gaming in 2005 in a table that was about half women. I took a hiatus from tabletop games for a while to play Livejournal play-by-post roleplaying games; which is a hobby dominated by women. And then picked tabletop games back up in 2010 or 2011 in a series of tables that had a number of LGBT members (myself included; back then I was in a long-term relationship with a woman as well). So given that history, I actually didn’t realize that the hobby was dominated by men until way later. My first G&G event was quite a shock! It didn’t take me long to realize that just like my card game hobbies, or the anime community, or the MMOs I’ve been in, the tabletop RPG community has some of the same problems with the treatment of women and queer gamers in the hobby. I mean, I’m as flat-chested as can be and no one can say I’m a conventionally attractive kind of girl. But I’ve still caught someone staring down my shirt at the reg table. Until around late 2016, I was actually the only female committee member of G&G, and a great majority of our attendees were also men. It took a lot of effort on the committee’s part to make sure people understood that our events are welcome to all; that we won’t stand for anyone harassing our participants, and that we take safe space quite seriously. I’m happy to say that for over a year now, at least a third to half of our attendance has consistently been comprised of women and LGBT+ gamers. I do count it, because it’s important to me that we are able to share this community with more people like me. And I’m glad that in its small way, G&G has been able to contribute to the local community. I don’t attribute all the success to us, though – the community is also more aware now, more progressive, and that makes change easier. 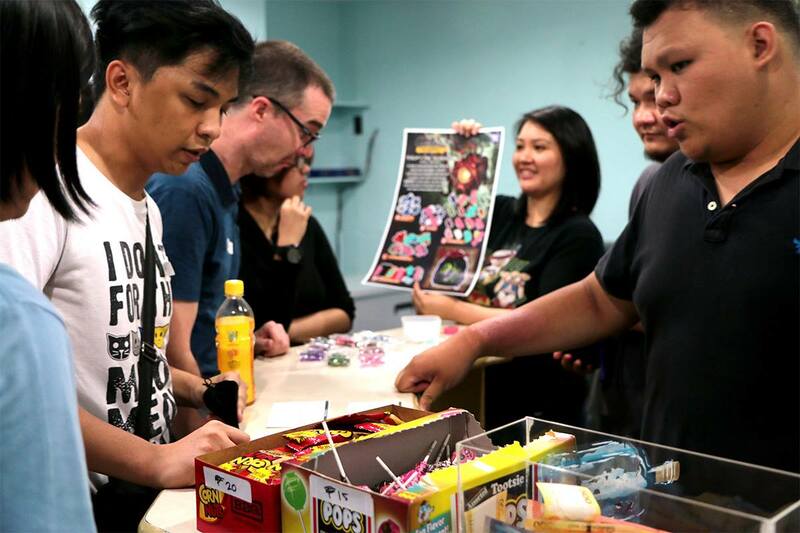 As with previous articles, we would like to thank Bim Canoza of momatoes.com for the lovely photos at Gamers & GMs events! Rachel will be at LacunaCon this Sunday, July 15. Come over, drop by, and join us for a full day of talks and games celebrating women and LGBT+ contributions to the tabletop community! Haven’t registered yet? Go here!